With a blend of French pizazz and Melanesian Culture, New Caledonia offers couples a romantic and culturally vibrant honeymoon. From powdery white sand beaches and tranquil lagoons, to luxury spas and overwater bungalows, New Caledonia knows how to welcome the newlyweds. 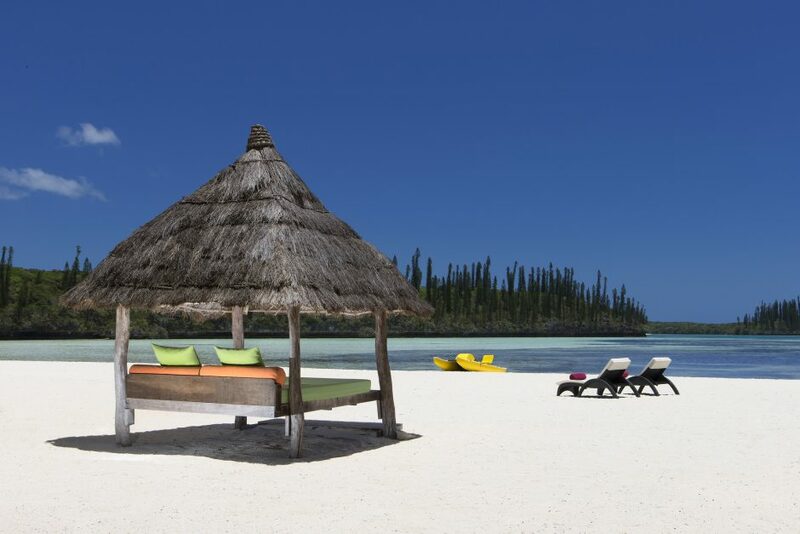 Here’s our pick of the top honeymoon hotels in New Caledonia. 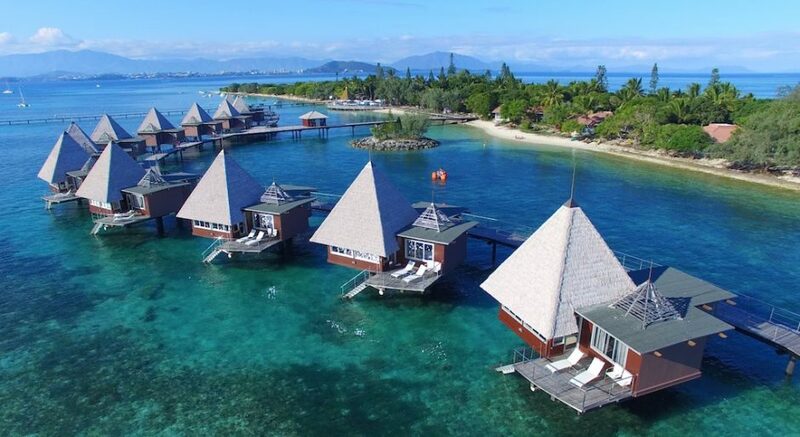 The Isle of Pines oozes luxury at the best of times, so it’s no surprise Le Meridien Ile Des Pins is a top choice for honeymooners and couples wanting a romantic getaway. Its private island resort which overlooks the spectacularly beautiful Oro Bay Beach. The sand is as soft as icing sugar and the waters shine a brilliant azure blue. Take a dip in the natural swimming pools set to a backdrop of pine trees endemic to New Caledonia. This over-water hotel has 69 guest rooms situated in the middle of a 200 hectare marine reserve. 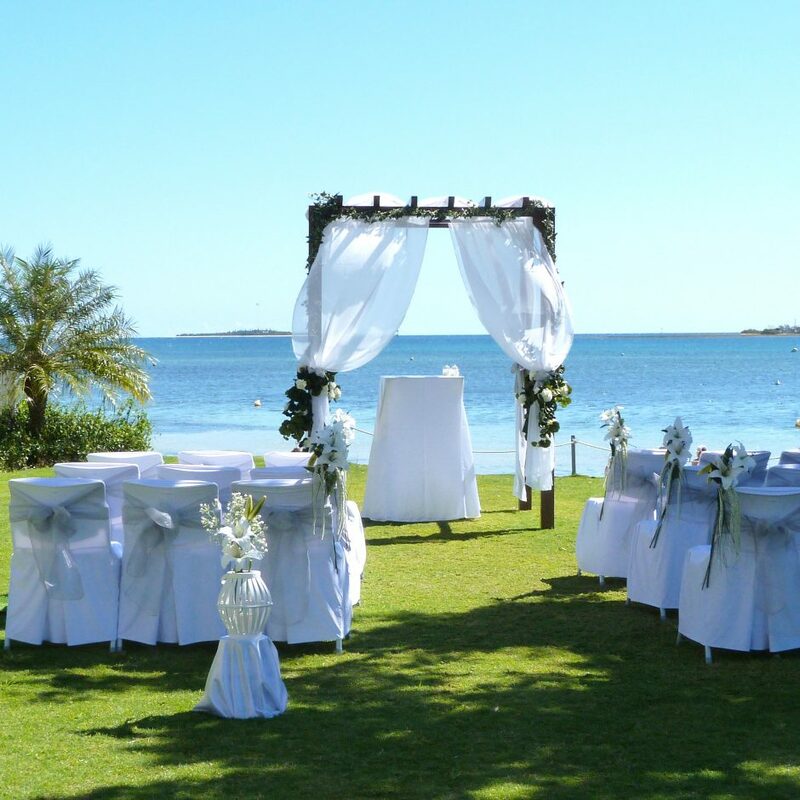 Just 20 minutes by boat from Noumea, the hotel offers honeymooners the chance to stay as close to the ocean as possible. With 25 luxurious and spacious overwater bungalows, you can step from your bungalow into the water, with steps leading into the lagoon from your private terrace. 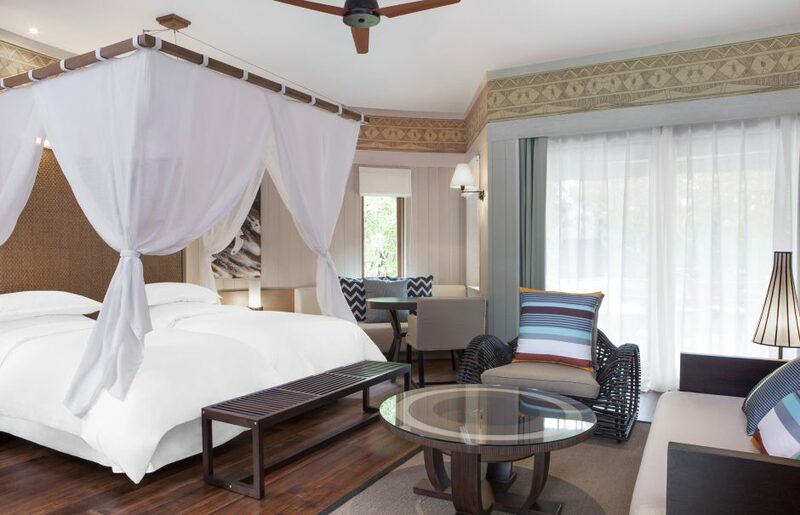 For those preferring more seclusion, the garden rooms nestled among beautiful bush and tropical flowers offer the chance for couples to relax in nature, or have the best of both worlds with the resort’s beach bungalows. 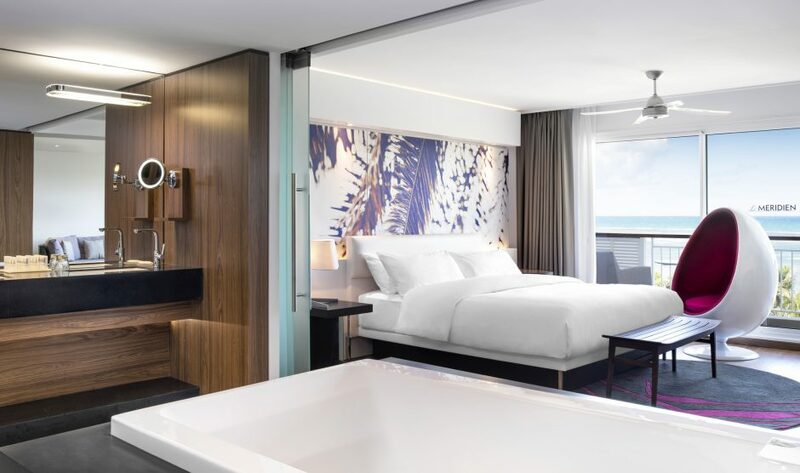 This light, modern resort in Noumea offers guests a luxury honeymoon option while staying in close proximity to the city. Located in the capital of New Caledonia, the rooms at the Château Royal Beach Resort and Spa are light and airy, with stunning view out to the ocean. For a truly luxurious experience, enjoy a private cruise on the luxury yacht Iroue, relax in the Aqua Royal Spa with hydro massage stations or opt for the private bubble bath with a glass of champagne, followed by a spa treatment for an extra special lovers’ treat. Le Meridien Noumea is a luxury resort blending island life with French flair. Overlooking Anse Vata Beach, it is located just ten minutes from the city centre, but surrounded by landscaped gardens for privacy and seclusion. From classic rooms to diplomatic and presidential suites, the rooms are stylish, spacious and modern with views to the garden or to the beach. Le Meridien Noumea’s Deep Nature Spa offers couples a variety of spa treatments as well as a jacuzzi, hammam, sauna and relaxation room. Or for those looking for a more active honeymoon, the resort offers direct access to the beach for kayaking, stand up paddle boarding, snorkelling or windsurfing. The Sheraton Deva Resort and Spa aims to highlight the Melanesian culture through its thatch-roofed design, while maintaining a luxury and high-end feel. The luxury bungalows ideal for honeymooners can have canopy beds and ocean views with the spa offering a hot tub, hammam and fitness room. Wining and dining options include an international restaurant, beach bar and grill and a pool bar. Bikes, kayaks and other waterspouts gear are available, not to mention an 18-hole golf course for the golfing couple.